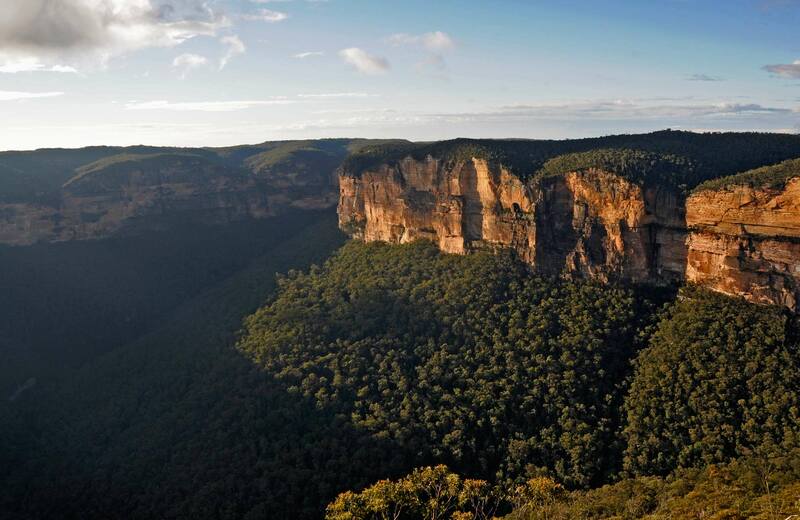 Historic Princes Rock walking track offers scenic views over Mount Solitary and Wentworth Falls in Blue Mountains National Park. 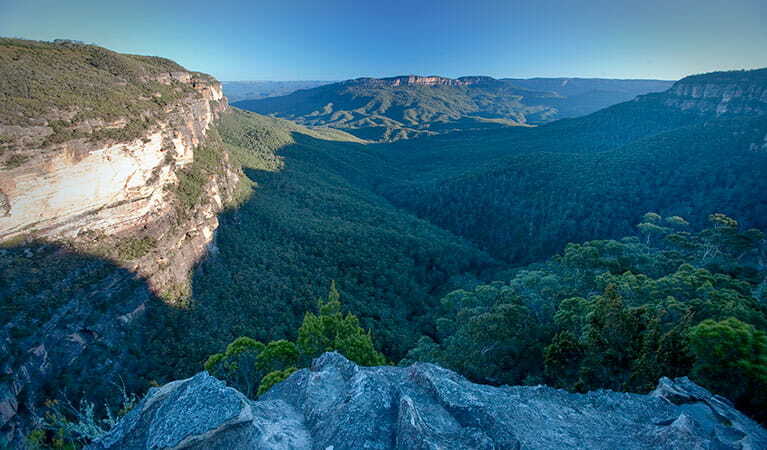 This historic track leads to one of the best lookouts in Blue Mountains National Park. 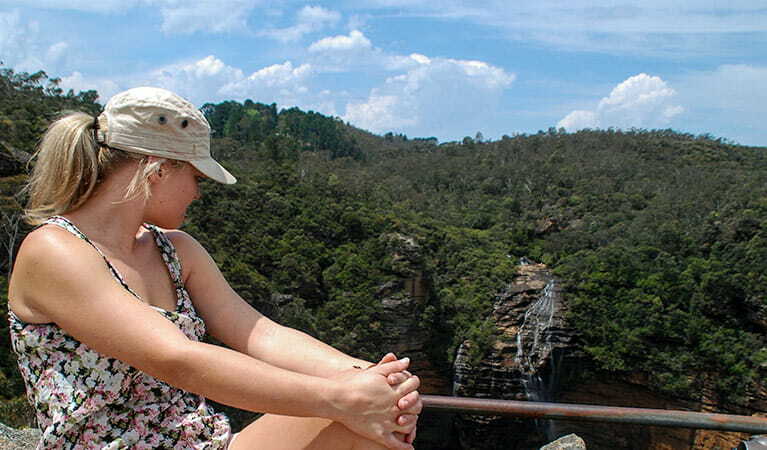 Princes Rock walking track winds down from Wentworth Falls picnic area and follows a path trodden by sightseers since the late 1890s, with exceptional views over Wentworth Falls. Keep an eye out for the old water fountains dotted along this medium track and admire their heritage design. 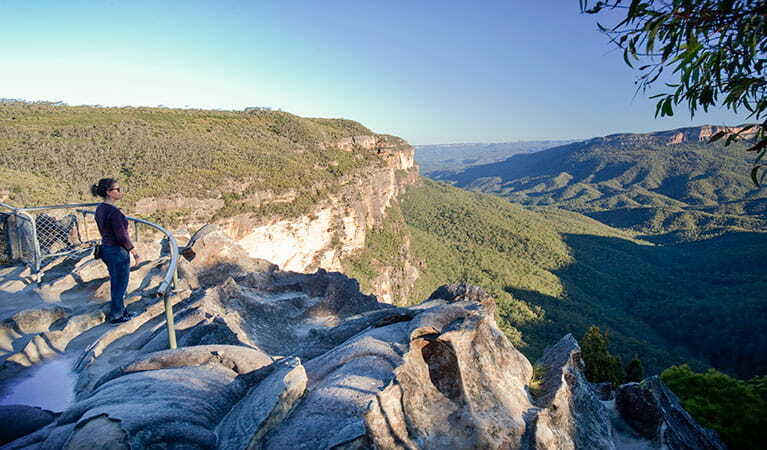 Upon reaching the distinctive parapet-style historic lookout, gaze across the falls and Kings Tableland on your left. Mount Solitary, rising out of Jamison Valley, is a sight to be savoured and well worth the medium-sloped walk. If all that fresh air and walking has you thinking of food, it might be time to unroll the blanket for a leisurely lunch, just like picnickers have been doing for over 100 years. Or for more things to do, visit Conservation Hut, just minutes away. 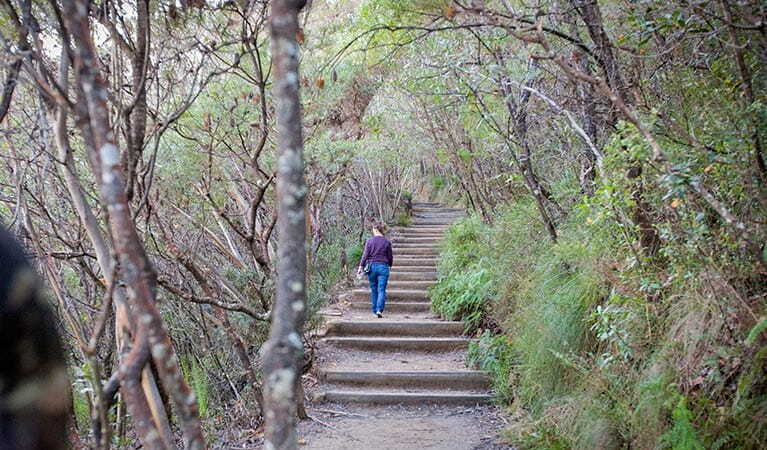 Take a virtual tour of Princes Rock walking track captured with Google Street View Trekker.